Reacting to the Amanda Todd tragedy, a Dartmouth teen is starting an anti-bullying organization. 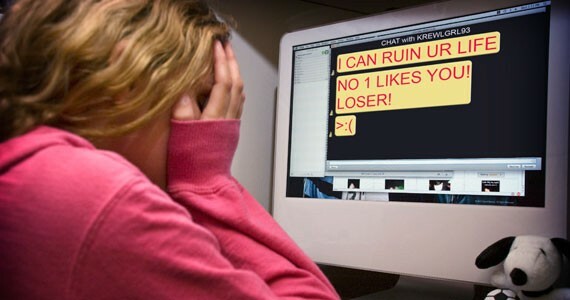 Toni Nicolas takes on cyber bullying. "We want to help everyone out there who feels like they have no one---we want to put a stop to all bullying," says Toni Nicholas, a 14-year-old student from Dartmouth. Nicholas was inspired by the tragic suicide of Amanda Todd to start Generation Change, an anti-bullying initiative for people in HRM. It started as a vigil in remembrance of Todd and 200 other people worldwide who lost their lives because of bullying. "My friends and I were just planning an event to remember Amanda Todd, and it formed into a really big group and became a huge part of my life," Nicholas says. Nicholas can understand what it can be like to feel hopeless. "I was bullied a lot myself," she says. Suffering from emotional and physical abuse starting in elementary school, Nicholas says things have improved for her, but others may not be so lucky unless we make a drastic change. "I feel like [bullying] is getting better in a way, but not completely. The schools still aren't doing as much as they should be," she says. "They don't watch enough for it, they shut their eyes to it." Generation Change has its Facebook page up and running (at facebook.com/Generation XChange---note the "X") and is currently in the process of raising money. "We do have a trust you can donate to through the Bank of Nova Scotia," Nicholas says. Go to any branch of BNS, and simply ask to contribute to the fund. Generation Change is also having its first meeting, open to everyone, at Woodlawn Library, December 20 at 6pm. Nicholas is also working on opening up a safe, fun space for teens who are being bullied. She envisions it as "a place where kids can come to let out their feelings and where nobody's going to judge them." Nicholas says bullies are seemingly everywhere, and it's difficult to stand up to them. "But they're not going to stop unless you do something about it." Earlier this year, Myron and Berna Garron, an Ontario couple with maritime history, donated $10 million to the IWK in support of a suite of projects dear to their hearts. Myron, originally from Westport, worked for the Bank of Nova Scotia before making a move into the automotive manufacturing industry that proved to be hugely successful. The Garrons lost one of their sons to cancer in 1975 when he was just 13. “We got to know the hospital---our grandchildren were born there, and we got to know the people and just asked them what their needs were,” Mr. Garron says. Their donation is intended to go towards creating a new acute mental health inpatient unit, a state-of-the-art neonatal intensive-care unit and improvements to women’s health care facilities.